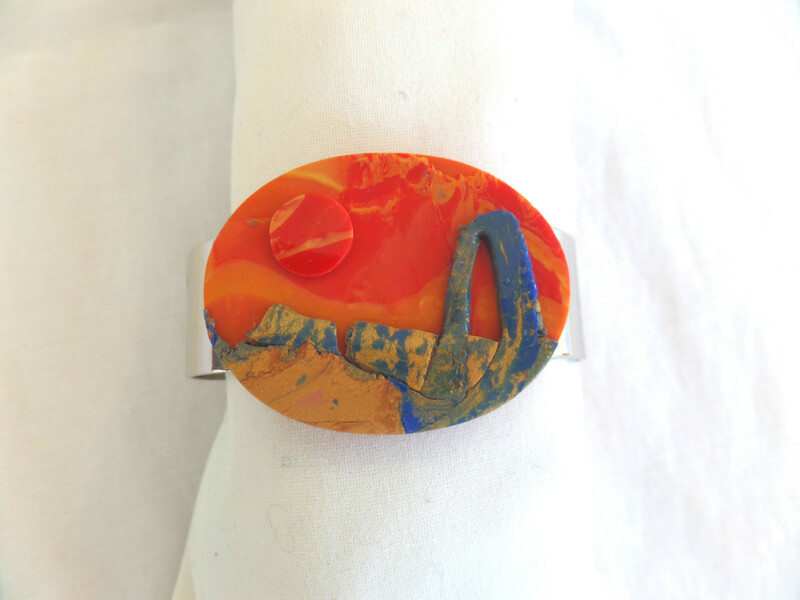 "Blue Arch" Cuff Bracelet is handcrafted from a palette of dozens of colors of polymer clay, blended and layered for dimensionality and contrast. 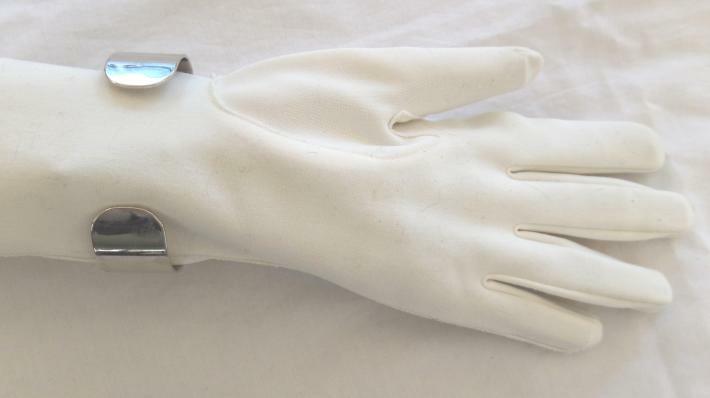 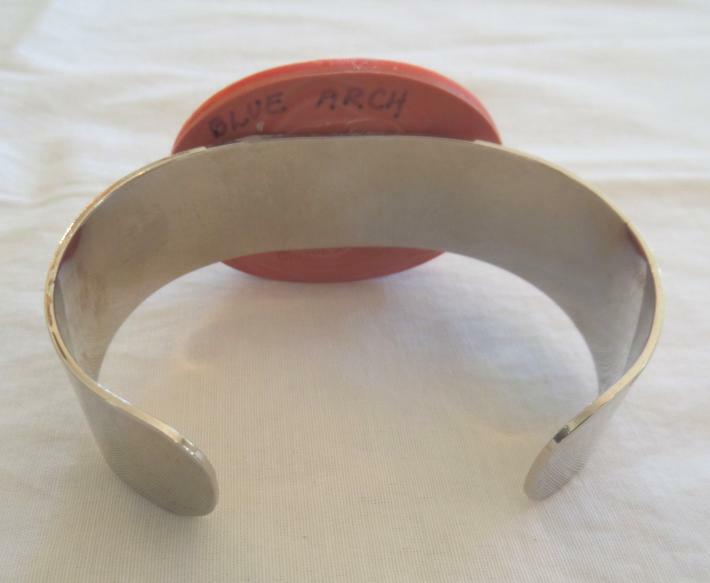 The disc is affixed to a silver color metal cuff bracelet. Each piece is given a distinctive name. 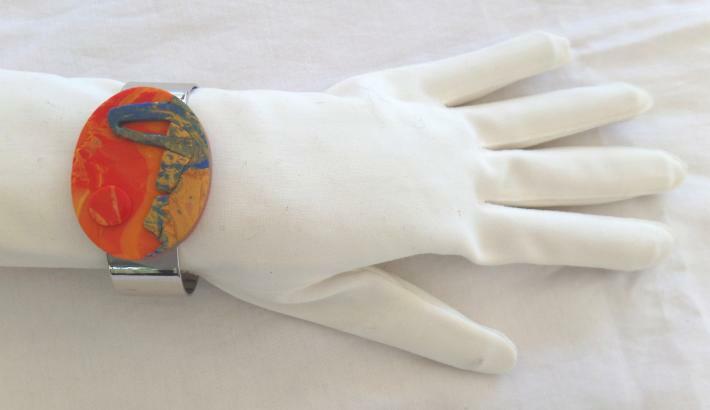 This one represents my interpretations of the geography and geology of the American Southwest.